Star Automation is a national/Global service Provider/partner for Industrial Electronics SMPS (Switch Mode Power Supply),IT, Telecom and medical PCB Repair, Refurbishments & Maintenance in the ability to repair virtually any electronic equipments or Printed Circuit Board (PCB)with an experience of 15 years. Switch Mode Power Supply (SMPS) ,AC and DC Drive , Servo Drive, Servo Pack, Processor Board, I/O Card, CNC Machine Control card, PLC, LCD, HMI, HVAC, Building Automation System, Power Supply and SMPS, Inverter Welding machine (MIG/ITG), Plasma cutting, ,PLC’s, Temperature Controllers, Counters, Logic boards ,Test & measurements and many other specialized electronic boards too numerous to list. 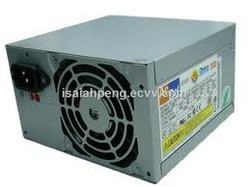 We offer New Switch Mode Power Supply for delta make.